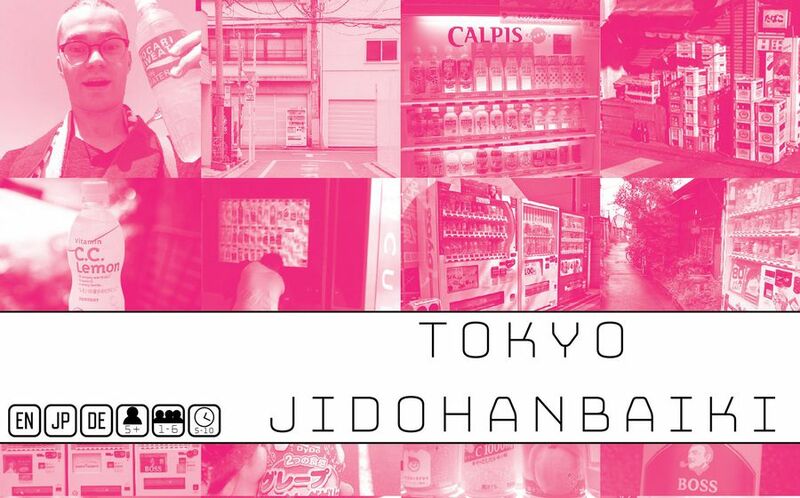 TOKYO JIDOHANBAIKI is a game about Japanese vending machines and drinks, with multiple 5-10 minute games inside. The core of the gameplay centers around a vending machine drink tower, which miniature drinks are dropped inside of. Some of the drinks will come out again, and others won't! Included in the game are six drink types, with six different colors, that fit conveniently into six yellow drink crates. Each game has its own unique twist, offering a fun and easy to pick up experience for 1-6 players. On top of the standalone games included, JIDOHANBAIKI comes with extra components and rules that are used specifically to integrate with both TOKYO METRO & TOKYO JUTAKU. TOKYO WASHI GAME CATS is the first in a line of games played using Japanese Washi Tape. Cats is a modular experience adaptable for 2-6 players in which you play a cat in search of a fish in the city of Tokyo!